. . . as explained by Stuart Campbell from Wings Over Scotland on BBC Scotland's 'Call Kaye' this morning. The BBC is allowing Labour (Jim Murphy, Kezia Dugdale etc) to repeatedly spout this unchallenged lie on air. 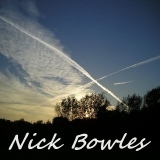 Nick B, Keep em coming - hopefully you will get some converts. However, during your combing of the airwaves and cyberspace, spare a thought for the Home page. Hey Jim Bill Nick ! What has happened .............,... !!! No posts since Tuesday - that's at least 72 hrs and counting - too much eclipse watching or what ? Firstly, there was never going to be a formal coalition between Labour and the SNP - something the SNP have always made plain. Secondly, the biggest party do not automatically form the government - something I thought the excerpt from 'Call Kaye' posted above made quite clear. Polling suggests not much difference in the number of seats for Con and Lab, so Labour do not need to be the biggest party to form a government. All they need to be able to do is win a vote of confidence - which they will easily do with the support of the SNP, who would then continue to support a minority Labour government on a confidence and supply basis in return for some changes in currently stated Labour policy. It is vaguely conceivable that the Labour party would rather let us have another five years of Tory rule than attempt to form a minority government, but frankly I find that a very unlikely scenario. All this political posturing about deals/collaboration/alliances/coalition keeps yourselves and the pundits happy (and in a job). The main purpose appears to be to concentrate the minds of those who are not committed to any particular party, and to convince them that they should vote tactically for the lesser of two (or more) evils as seen by their particular stance. Speaking personally, I will be glad when it is all over and we can get back to normality and criticise whoever happens to have inherited the reins. You surprise me by what you have said in your last post - I assume you are just revisiting your thoughts from many months ago ? Who is actually leading the SNP these days ? Or Is 'Oor Nicola' just sitting on the bucket ?